Have you noticed that as time goes on, professional communication is becoming more and more laid back? This is probably due to our increased use of social media, chat, and other contemporary ways we communicate with each other. As our online banter increased, so did spelling errors, emoji use, and vastly misinterpreted meanings–among other blunders. Consequently, email etiquette has suffered too. Just like when you meet someone face-to-face, your email is a perception of both you and your business. Those few words you tap into an email message can add or detract from your reputation. If your email is unprofessional, it gives the impression that you are unprofessional …which can be harmful to the success of your business. 1. Is it time sensitive? Sometimes you may not need to send an email. For example, if you need information ASAP, or have to cancel your next meeting, it’s better to pick up the phone and make a quick call rather than send an email. It’s faster, and it will ensure that the message was received before it was too late. After you write your email, read through it and check for syntax, spelling, and grammar. Also note the tone, emotion, and the language you used. Is it professional? If you added something (you thought) was funny, can it be misconstrued? In written form, humor doesn’t always have the same effect. Lastly, ask yourself if you would be OK with any part of your email being published on the front page of a major newspaper. If in doubt, leave it out. Here’s a huge tip: To avoid sending your email prematurely, delete the recipient until you’ve completed and proofread your email. Also, double check that you are sending your email to the correct person after you’ve typed in their email address. Sometimes the auto-populate feature is not your friend. Sending too many emails marked “high-priority” equates to your “crying wolf” if you’re tagging them as urgent too many times. 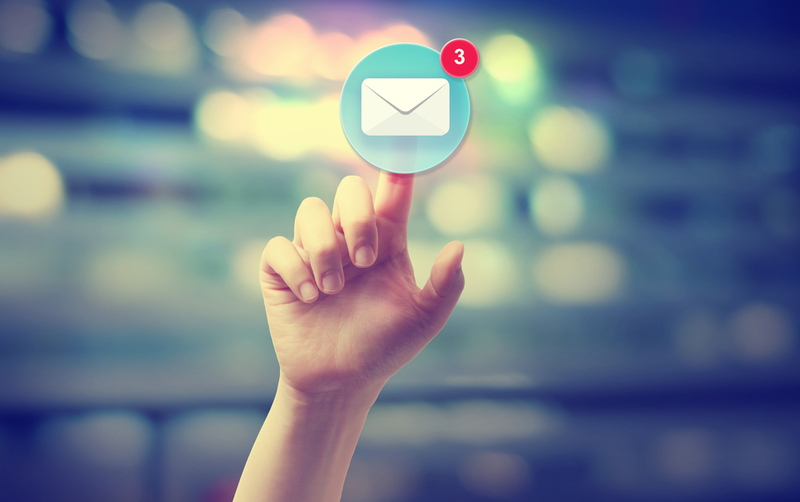 It won’t take long for your recipients to regard your email with low priority as a result. So use high-priority sparingly and only at times when it’s mission critical. To stop your email from going into the recipient’s spam folder, avoid typing it entirely in capital or lowercase letters. Also delete exclamation points, emojis, and URLs. Keep your subject line very short and clear. Also, ensure that the subject line clearly defines the message. No one likes to be baited and switched. To increase the chances of your email getting read, keep the body short and on point. Strive for no more than five sentences. Make it easy to read by using a classic font like Arial or Calibri in 10- or 12- point type. Also, stick to the same font, type size, and color (ideally black) throughout your email. Avoid using a lot of exclamation points, as it can come across as being immature or overly emotional. Before concluding, clearly state actions or next steps required. A professional email must have a signature at the end. Include your full name, title, your company name, and your contact information (especially your business phone number). This information allows your recipient to quickly learn more about you and other ways to get in touch with you. Keep it simple and avoid adding quotes, sayings, artwork, awkward fonts and colors to your signature. Follow these tips, and you’ll quickly show your email recipients that you are respectful of them and their time.